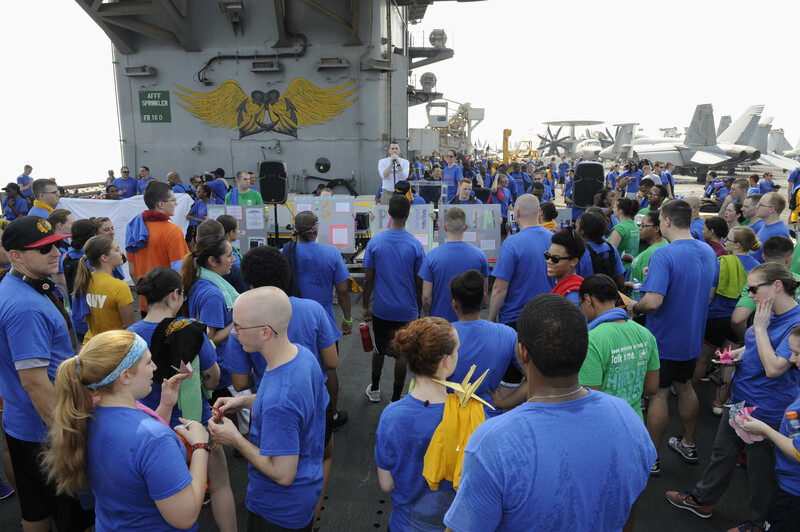 ARABIAN GULF (September 8, 2015) – Sailors aboard the aircraft carrier USS Theodore Roosevelt (CVN 71) are raising awareness during the Navy’s Suicide Prevention Month while deployed to 5th Fleet. This year’s Suicide Prevention Month theme focuses on a message from its current Every Sailor, Every Day campaign: 1 Small ACT. 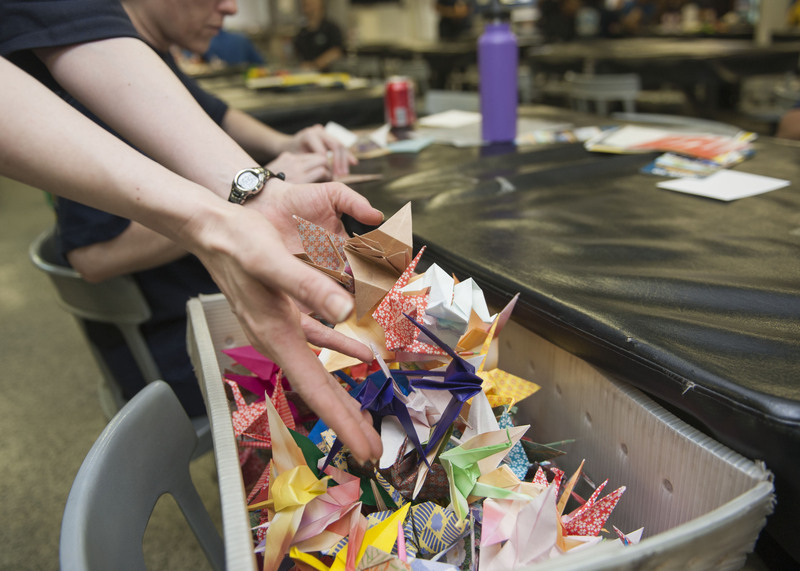 The theme encourages Sailors to use the Navy’s bystander intervention model ACT (Ask, Care, Treat). “One small act can save a life,” said Lt. Cmdr. Jason Duff, the ship’s psychologist. “That is so true. I see it every day. I see people walk their shipmates down here when that person is at a point where they need help. They take it upon themselves and say ‘Hey, let me get you where you need to go,’ and they will literally walk that person down here to us, the people they need to be with, and get them the help that they need. It happens all the time. Throughout the month of September, TR’s Applied Suicide Intervention Skills Training (ASIST) team will host numerous events to bring suicide awareness to the forefront of everyone’s mind. ASIST will host a ‘just because’ card-making event and will finish the night off with an ASIST slogan contest, Sept. 10. The ASIST team will deliver the cards to those in need of encouragement in the days to follow. 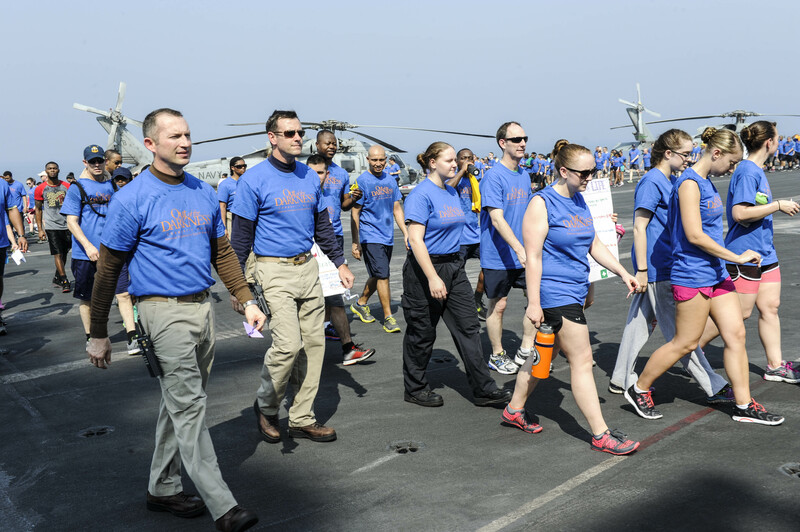 ASIST encourages Sailors to join them, Sept. 20, on the flight deck for sunrise yoga. To end the month, ASIST will conclude with a cake-cutting event and movie night. TR began her suicide awareness campaign well before the prevention month began. 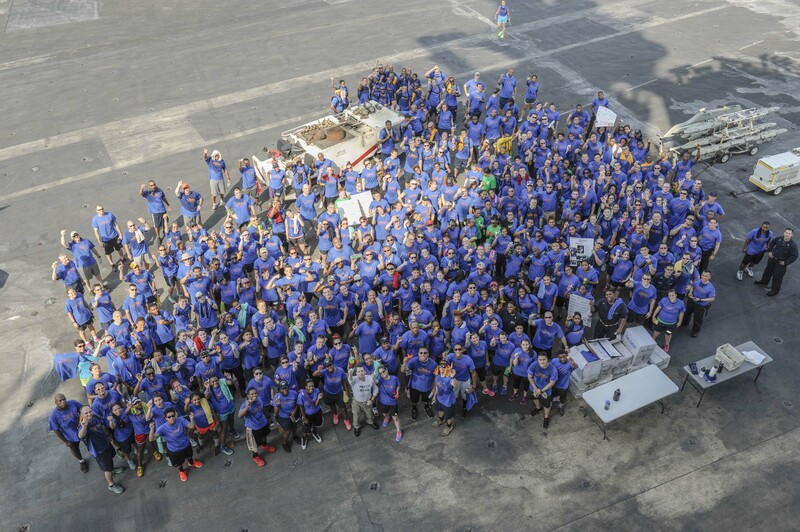 During the final days of August, Sailors from around the ship wrote personalized messages and held up signs promising one small act they will do to help save a life. 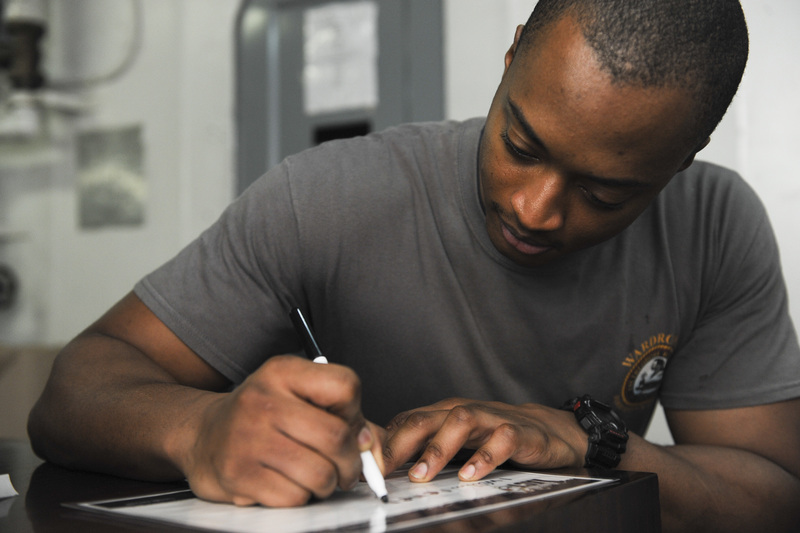 The signs were a part of the Navy Suicide Prevention office’s toolkit used to help Sailors and their commands spread awareness of suicide prevention. In addition to creating signs, TR also hosted an ‘Out of the Darkness’ walk, Aug. 30, in conjunction with the Hampton Roads community chapter. Duff emphasized the importance of continued support and awareness.